"Protecting you and your farm"
We will work with you from the outset to ensure cost savings on the construction of the whole project, while delivering a high quality product that will stand the test of time and meet your individual needs. Your long term peace of mind is our top priority. New Zealand has diverse and extreme weather conditions, from harsh sun to extreme wind, rain and hail. Windshadow has developed systems to meet all of these extremes to protect your livelihood from the elements. 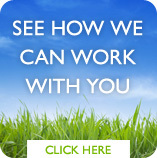 WindShadow is committed to helping you protect yourself and the environment around you. We are specialists in the design and construction of solid, dependable and reliable solutions to your problems. This includes media containment, windbreaks and wind protection, sun protection and the protection and shielding of those around you from your activities. It’s a fact that New Zealand has some of the harshest weather conditions in the world. To protect your stock and property from the rigors of the sun, we can design and build the level of protection you require for your industry.